Set in colonial Virginia in 1750’s, this movie is a story about Matt Howard and his wife Jane Howard during the period when America was fighting for their independence. Although, there were cultural differences between Matt and Jane, there was no love lost between them when they kissed for the first time and fell in love since. Despite Jane’s brother opposing the marriage, they go through the ritual and raise a clutch of children. The lameness of their elder child reminds Matt of his brother-in-law and he manages to ignore the child for the very same fact. 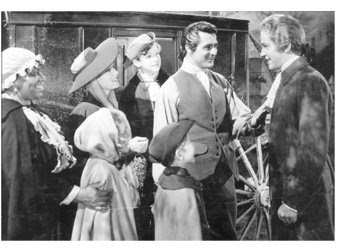 The movie shows Matt, his friendship with Thomas Jefferson and his unique portrayal of a farmer. In 1776, Matt enrols to be part of George Washington’s army to fight for the independence. In search of their father, Peyton and James sons of Matt and Jane decide to join the army. They meet their father. Listening without being seen to his two sons arguing over the rebellion, he discovers Peyton to be the closest to his principles than his beloved James. He tries to communicate his love, but war comes in between. The movie culminates in America getting the Independence from British and George Washington becoming the First President of United States. Despite the strong cast with Matt Howard played by Cary Grant, Jane Howard by Martha Scott performances by Sir Cedric Hardwicke as Jane’s brother and Richard Carlson as Jefferson, the movie was commercially unsuccessful and Cary Grant himself confessed in an interview about him being miscast as Matt Howard in this movie. The Movie although conveys the history of Virginia and United States in general, there are few chronological errors. The costumes however, have a period appeal to the 1750’s. 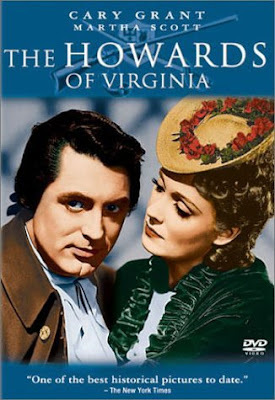 Released in 1940, The Howards of Virginia was directed by Frank Lloyd and earned two Oscar nominations for Best Music Original Score and Best Sound Recording.